Workshop gantry crane has wide application for transferring, assembling, checking, repairing as well as loading and unloading various material. It can increase efficiency, improve working conditions and save much labor resource. This kind of crane has easy operation. The operation of the crane is completed in driver’s cabin. The cabin has open type and closed type, and can be installed on left or right side according to practical situation. The direction of entering the gate has two forms, side-way and ends, so as to satisfy the user’s choice under different conditions. Workshop gantry crane includes various types, such as single girder gantry crane, double girder gantry crane, L model gantry crane, U shape traveling crane, A-leg portable crane, durable steel rail gantry crane, light duty gantry crane, heavy duty gantry crane. We are a professional crane supplier in China. 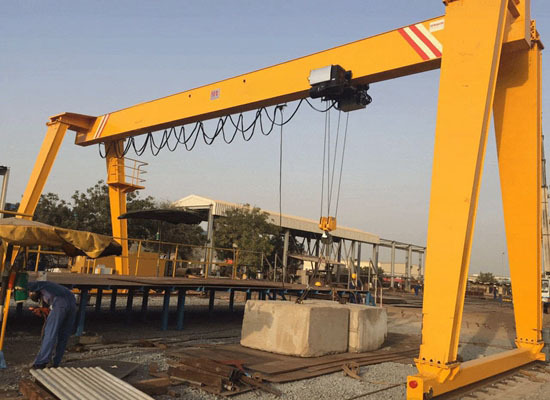 We provide types of high quality gantry crane for sale, such as rubber tyred gantry crane, rail mounted gantry crane, warehouse gantry crane, truss gantry crane, mobile gantry crane, indoor use gantry crane,outdoor use gantry crane. For any crane you want, just send email to sales@crane.pk. 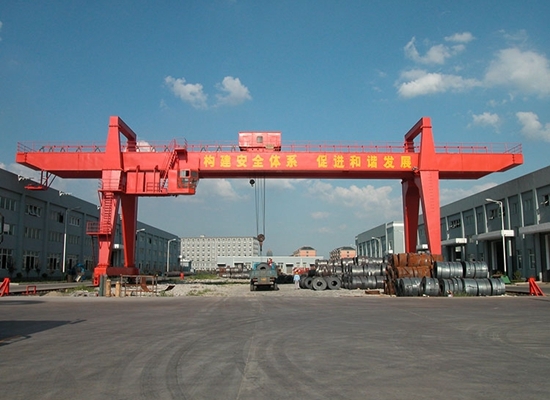 Gantry cranes from China supplier have top quality, reasonable design, factory price and great after-sale service. 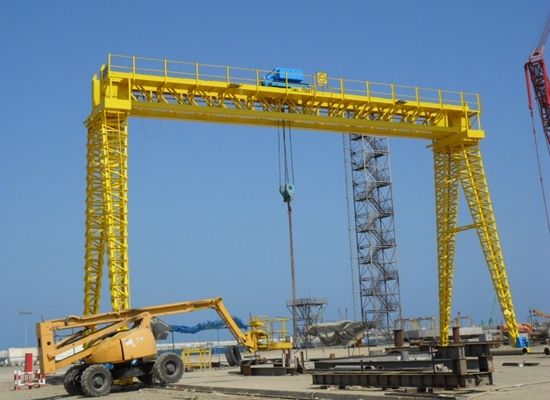 For example, our company has much experience in designing, producing, installing cranes. We have professional engineers, strong teams and advanced technology. 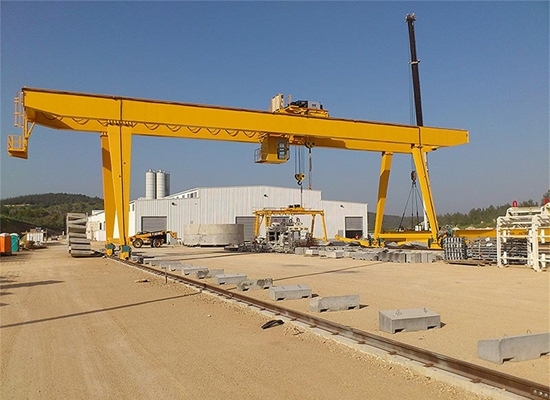 Chinese manufacturer crane has advantages as stable performance, smooth starting and stopping, safe and reliable traveling, low noise, commodious cabin and good view, convenient maintenance, excellent exchange-ability for parts and computers. All cranes are equipped with safety protection devices, such as overload protection, main lifting motor with thermal protection, hooks with latch, Rubber buffers, protective earthing, crane switch and travel end switch. Emergency switch can stop all movement when dangerous happened. Sub-assemblies characteristic are tested before assembly. 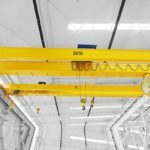 All cranes must be tested before leaving factory and offer the certification of test. The package and ship are also serious. Main girder, ground girder and support legs will be packed by bubble paper. All electrical parts will be packed by plywood box. Rails will be naked within container. 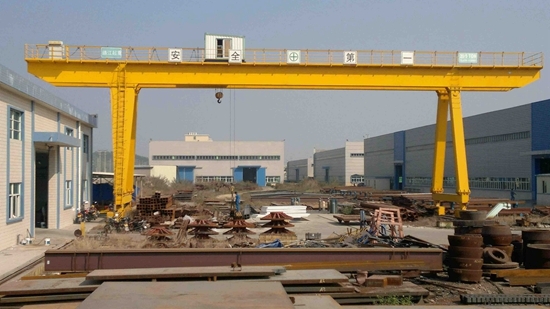 Double girder workshop gantry crane belongs to heavy duty crane. It has large loading capacity and high working efficiency. 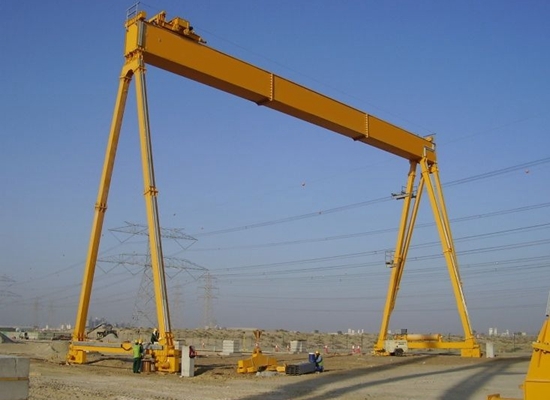 This kind of crane is mainly used for lifting and transporting duty with high working class. It can adapt to sever working environment well, such as industrial and casting working condition. The profits of the main girders are optimally produced, using an integrated technology which is weld-less, so that maximum performance with a minimum of dead-weight can be achieved. The crane is produced in compliance with the national standard. The design is reasonable, the machine is of good quality, the structure is advanced, the appearance is beautiful and the size is compact, the weight is light, and the parts have high strength, big intensity, and all these make it safe, durable. And the cranes are popular domestic and abroad. Our company provide customized service. 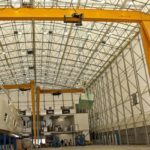 We are able to design and produce non-standard hoisting crane in accordance with special requirements and practical conditions. Mobile single girder crane is a kind of light duty crane. It is mainly used for outdoor cargo yard, yard goods, bulk cargo loading and unloading operations. Its metal structure shaped like a door frame, carrying the main beam install two feet down. You can walk directly to the track on the ground, both ends of the main beam may have overhanging cantilever. Single girder workshop crane has features as a high utilization of space, large operating range, wide adaptation and versatility. Small single girder cranes are widely used in the construction of various types of open space, such as building and bridge construction site in the back room of precast games. Industrial equipment installation site of the device stacking, assembling prefabricated parts venues. 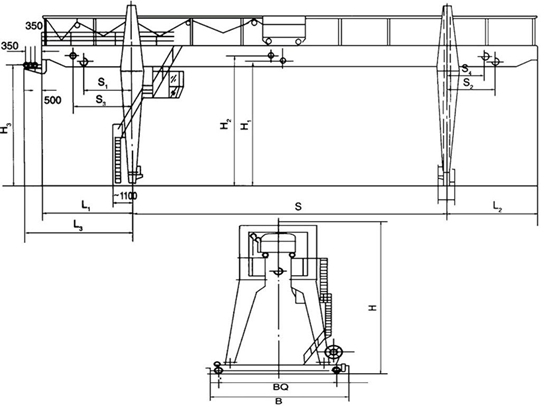 Single girder crane is also available in railway stations, docks, yards, hydro-power stations, shipbuilding industry. 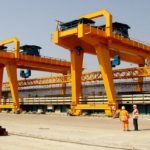 For loading and unloading, single girder gantry crane can lift iron or steel blocks, cylinders and so on. 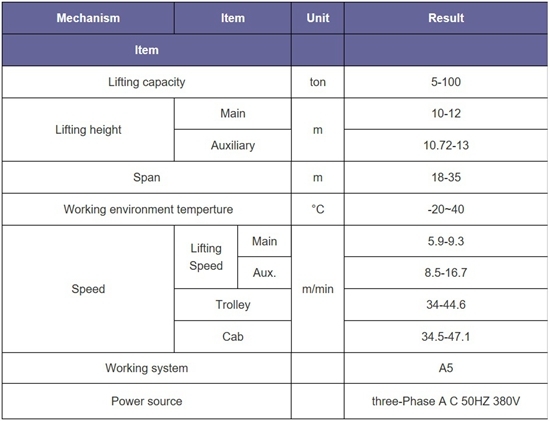 It is widely convenient for application in loading, unloading and transporting. Such flexible crane is ideal lifting facility for factories, docks, warehouse and transportation.